OMG has it really been over 6 months since I last posted to my blog !!!!!!! What on Earth have I been doing ???? Oh yea, cruising !!! 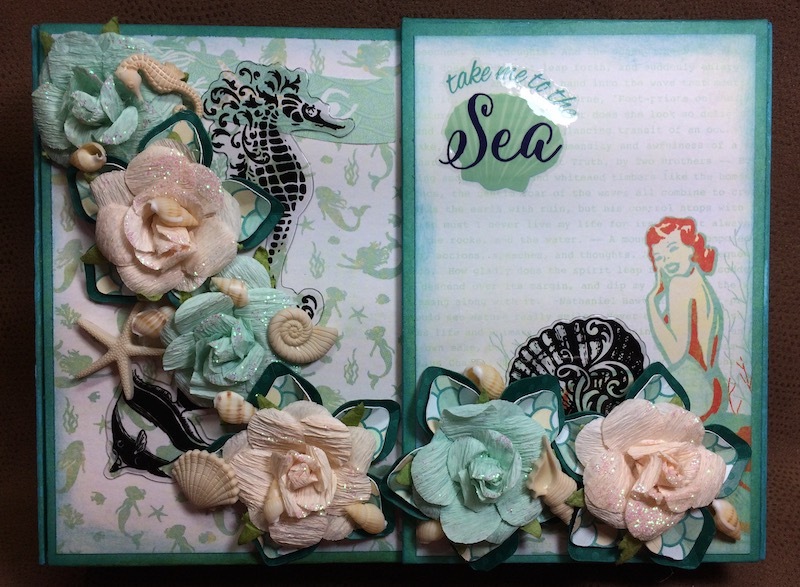 Yes, I have taken several vacations since last year and have been very busy working on new mini albums for sale as well as teaching classes at my local scrapbooking store. Well it's time to get back to business and come Monday I will have my M.O.M project ready for posting. 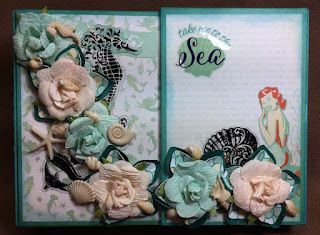 In the mean time take a look at the album I created from Authentiques paper line Sea-Maiden. For more pictures, please go to my shop on Etsy.com ( Scrapsforsanity).